Crafters Companion > Blog > We have a brand new collaboration on the way! We have a brand new collaboration on the way! We have some exciting news! 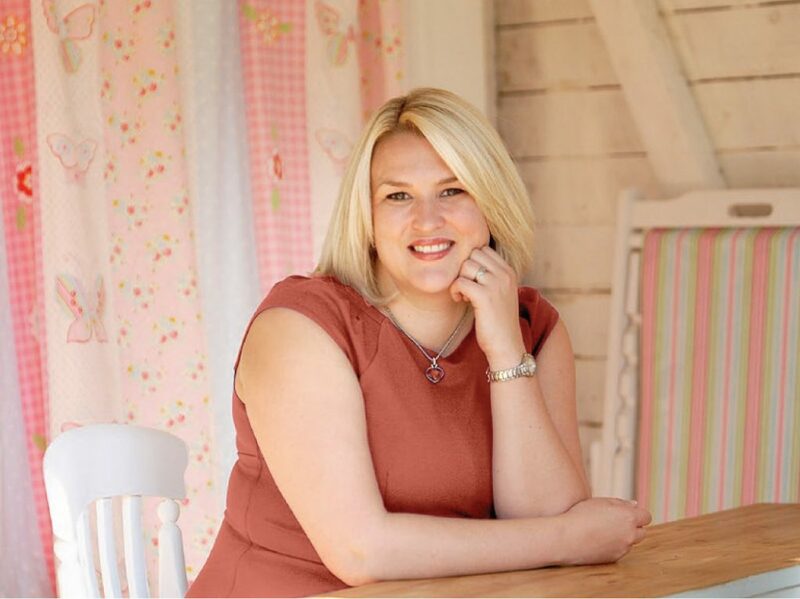 Sara Davies MBE, founder at Crafter’s Companion is partnering with Riley Blake Designs for a series of fabric and pattern design collaborations… we can’t wait! The first range, Sew Retro by Sara Davies, will launch this summer. It includes more than 30 different fabrics, made from 100% cotton, incorporating colourful floral, dotted, geometric and wave designs, together with block colour fabrics in retro greens, beige, navy and pinks. The Sew Retro range will be available in 42-piece 5-inch stackers, 42-piece 10-inch stackers, 40-piece Rolie Polies, fat quarters, and in bolts. You will also be able to purchase a Sara Star Pillow Kit, Sara’s Shopper Tote kit and an Around the World with Sara Quilt kit. 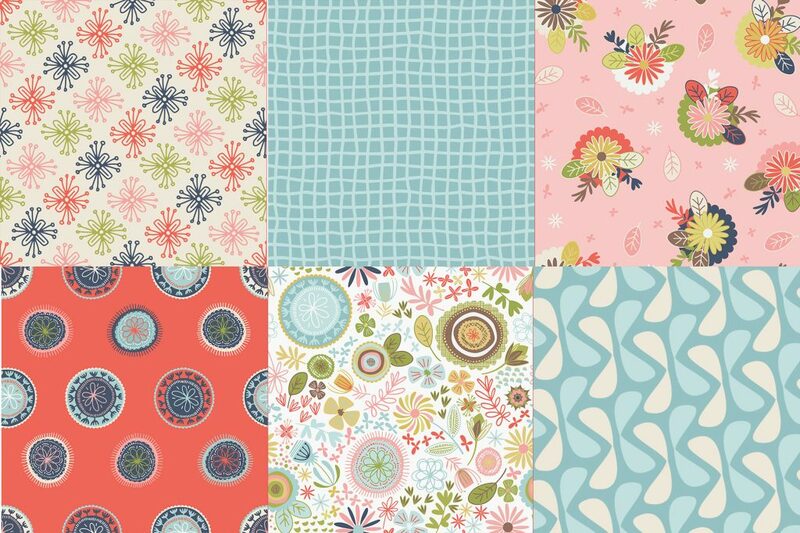 Some of the fabulous fabric patterns in the Sew Retro collection! Riley Blake designs is a family-owned fabric manufacturer based in Alpine, Utah. The company, which has just celebrated its tenth anniversary, was created to provide high-quality fabrics to inspire and delight quilters, sewists and makers. The company has partnered with local and international artists to design fabric lines with a vintage feel. Its materials reflect a contemporary feel for colour, resulting in versatile fabrics for quilting apparel, crafting or home décor. 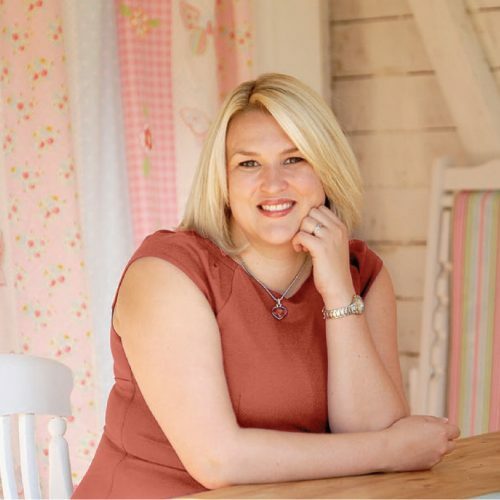 Sara Davies MBE, founder at Crafter’s Companion, said: “Riley Blake Designs has produced some wonderful fabrics with some impressive partners throughout the years, so I am both honoured and thrilled that I am able to be a part of such a fantastic collaboration.